About Us | Anglers Construction Services Inc.
We always exceed our customers’ expectations as projects are run using proven technologies, the best work processes and high-quality supplies. let us build your beach home from Keaton Beach to St. Theresa. With over 20 years experience in construction services, you can be guaranteed of expert results. Building projects are complex processes and as such expertise is required in planning, choosing materials and executing the plan. We have undertaken and completed complex projects in different locations. 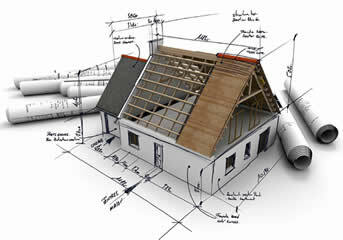 With our level of experience we can offer advice to clients on how to carry out building projects. We provide high-quality services that accommodate the customer’s budget. When planning we take into account the budget and provide an excellent service. We ensure that we deliver the value that is worth what the customer paid. We utilize all the resources maximally so as to provide the best outcome. No resource intended for the project goes to waste. We plan for everything well before beginning the project. At Anglers Construction Services Inc., we understand the value of time and aim at finishing our projects within the specified time frame. By carefully evaluating all the areas of the project before work begins we eliminate occurrences that could delay the project and inconvenience our clients. Customer satisfaction is essential in our business. Other than delivering quality, we also ensure that we treat our clients with respect and maintain a good working relationship throughout the project. Our aim is to complete buildings or projects and establish good relations with our clients as well. At the completion of the project, it is our joy knowing that we gave our customers a wow experience and delivered services as promised. With expertise, experience, and a good attitude, clients rely on us to complete their construction projects. Our main areas of expertise include:- • New construction, building homes, beach homes • Renovations • Remodels • Re-roof • Roofs metal and shingles.